Posted on Sun, Mar 18, 2012 : 4:15 p.m. The Levon Helm Band will be at the Michigan Theater on Monday. 7:30 p.m. Helm has a long history in rock and roll, starting with the Hawks who would then become the Band. Helm still records in Woodstock, but occasionally takes the show on the road. So don't miss this opportunity. $45 & $65. Purchase tickets at ticketmaster.com. The Michigan is at 603 E. Liberty St., Ann Arbor. 734-668-8397. The movie "Don't Look Back" will be shown Monday at the Michigan Theater as part of "Martin Bandyke's Moving Pictures" series. "Martin Bandyke's Moving Pictures" series continues at the Michigan Theater on Monday. 7 p.m. 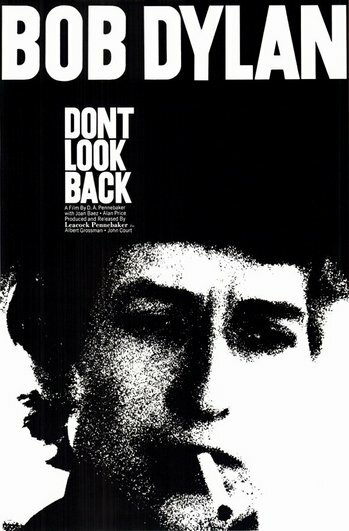 This week, see "Don't Look Back." A favorite of Bob Dylan fans, featuring a running gag about Donovan. Bandyke has curated a selection of music-oriented films that will run every Monday through April 30. $10/ general admission; $8/ students, seniors and children under 12. The Michigan is at 603 E. Liberty St., Ann Arbor. 734-668-8397. The "Second Annual Spelling Bee for Honest Cheaters, Dirty Rotten Spellers, and Mustachioed Heroes" will be held at Woodruff's on Wednesday. 7 to 11 p.m. In addition to three zany rounds of lightning-fast spelling, the event will feature a halftime show with segments such as the Dr. Seuss round, giving audience members a chance to win eternal respect and, very possibly, a silly hat. Proceeds will benefit 826michigan. Tickets will be available in advance for $12, or $15 on the night of. Woodruff's is at 36 E. Cross St., Ypsilanti. Sign up for "Yoga at UMMA," Tuesdays through April 10. 5 p.m. Participate in the ancient practice of Hatha-style yoga in the beautiful surroundings of the University of Michigan Museum of Art. All levels welcome. Advance registration is required at hr.umich.edu/mhealthy/programs/activity/classes/. $70/ U-M employees, $80/ non-employees. The UMMA is at 525 S. State St., Ann Arbor. 734-763-UMMA. "The Moth: Live Storytelling" continues at Circus Bar & Billiards on Tuesday. Doors open at 6 p.m., stories begin at 7:30 p.m. Moth shows are renowned for the great range of human experience they showcase. Each show starts with a theme, and the storytellers explore it, often in unexpected ways. This week's theme: Kiss of Death. $5 at the door. Circus is at 210 S. First St., Ann Arbor. 734-332-9900. See the "70th anniversary screening of 'Casablanca' at Quality 16 and Rave Ann Arbor on Wednesday. 2 and 7 p.m. The event will have a TCM produced introduction by TCM host Robert Osborne who will discuss Casablanca’s enduring legacy and reveal some of its fascinating behind-the-scenes stories. $10. Tickets are available at participating theater box offices and online at www.FathomEvents.com. Q16 is at 3686 Jackson Road, Ann Arbor. 734-623-7469. Rave is at 4100 Carpenter Road, Ypsilanti. 734-973-4823. Vinology will host a "Napa Napa Wine Dinner" on Tuesday. 6 p.m. A five-course paired wine dinner featuring the cult cabernet wines from a Ghost Winery in the heart of Napa wine country. Spencer Hoopes of Liparita and Hoopes wineries will be joining to discuss the power of these Napa wines. $65 plus tax/gratuity. Call 734-222-9841 or visit in person to make reservations. Vinology is at 110 South Main St., Ann Arbor. 734-222-9841. You can also enjoy "A Tasting with the European Winery of The Year: Gerard Bertrand" at LePop Galleryon Tuesday. 7 to 8:30 p.m. Bertrand was recently awarded as the European Winery of the Year by the Wine Enthusiast magazine. Taste eight wines with French cheeses to match. $15. Purchase tickets ahead of time at http://www.localwineevents.com/events/detail/410957. LePop is at 101 N. Main St., Ann Arbor. Mon, Mar 19, 2012 : 10:04 p.m.